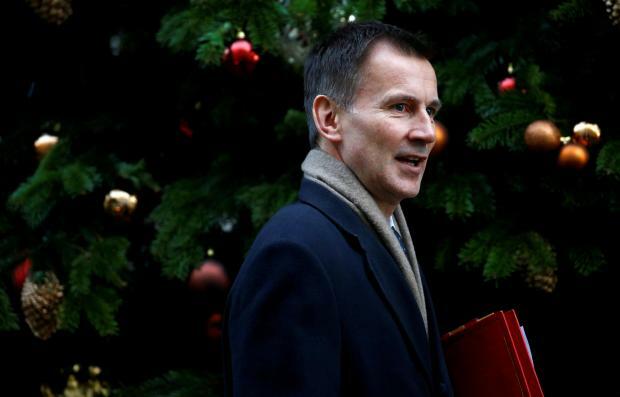 Foreign Secretary Jeremy Hunt said on Saturday that the British parliament could back Prime Minister Theresa May's deal if lawmakers received assurances from the European Union, but warned that a no deal Brexit was still on the table. May pulled a vote on her deal this week after acknowledging it would be heavily defeated over concerns about the divorce agreement's "backstop", an insurance policy designed to avoid any hard land border for Ireland but which critics say could bind Britain to EU rules indefinitely. "When the dust has settled, the only way we're going to get this through the House of Commons... is to have a version of the deal that the government has negotiated," Hunt told BBC radio. Following a summit in Brussels on Friday, May said it was possible that the EU could give further guarantees that the backstop would be temporary although the bloc's other 27 leaders told her they would not renegotiate the treaty. "The EU cannot be sure that if they choose not to be helpful and flexible ... that we would not end up with no deal," Hunt said. "We cannot in these negotiations take no deal off the table. I don't think the EU could be remotely sure that if we don't find a way through this we wouldn't end up with no deal." The Times newspaper reported on Saturday that most of May's senior ministerial team thought her deal was dead and were discussing a range of options including a second referendum. "Brexit is in danger of getting stuck – and that is something that should worry us all," pensions minister Amber Rudd wrote in the Daily Mail newspaper. "If MPs (lawmakers) dig in against the Prime Minister’s deal and then hunker down in their different corners, none with a majority, the country will face serious trouble."